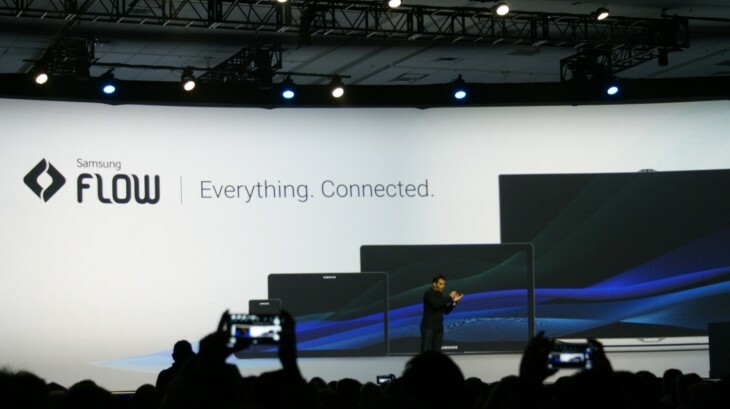 At the Samsung Developer conference, the company showcased a new feature for its tablets, smartphones and TVs that makes moving content from device to device a snap. The new Flow feature keeps “everything connected” according to Samsung. With the feature you can move videos from device to device, defer content to watch on another Samsung screen and get notified of important events. Flow will also notify you on your TV when you receive a phone call or text onscreen. Helpful when an important call comes in while you’re watching TV and your phone is on silent. Not so helpful when a text message interrupts a key part of a show. Finally, it’ll also notify you via all your devices when you have a low battery on any of those devices.